Welcome to the leglicious.co.uk website terms and conditions for use. Before you place an order, if you have any questions relating to these terms and conditions, please contact our Customer Service team by email on customer.service@leglicious.co.uk, or call us on 0333 700 2200 Monday to Friday, 9am - 5pm. All calls to Customer Services will be charged at the national rate (BT users only, other network charges may vary), and both inbound and outbound calls may be recorded for quality monitoring and training purposes. For most products sent directly from our warehouse, your credit/debit card will be charged when your order is placed. If you do require any information regarding orders you have placed with us, please contact us. You can exchange Leglicious gift vouchers to purchase goods online or over the telephone. 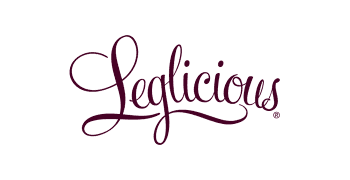 If the goods purchased online total less than the value of the gift voucher, we'll leave any balance as a credit for you with leglicious.co.uk, and redeem it against subsequent orders. You may not use gift vouchers to discharge indebtedness on any account or credit card, nor use them for the purchase either directly or indirectly of any financial product or service, including Leglicious gift vouchers. When you redeem gift vouchers online or over the telephone for products available via leglicious.co.uk, you will be required to give the serial number of the voucher. Once you have used the gift voucher it cannot be used again. If your gift vouchers become accidentally damaged, please contact Customer Services. If you have to return goods you have purchased online using gift voucher/s, then in most instances we will credit your online shopping account against further purchases. This does not affect your statutory rights. Coupons, discounts and promotional discount codes offered by us are valid only for use as part of a purchase made via leglicious.co.uk, unless otherwise stated. Such promotional discounts are not valid for telephone orders. These Conditions govern our relationship with you. Any changes to these Conditions must be in writing and signed by both parties. In this way, we can avoid any problems surrounding what Leglicious and you are expected to do. You confirm that, in agreeing to accept the Conditions, you have not relied on any representation save insofar as the same has expressly been made a term of these Conditions and you agree that you shall have no remedy in respect of any representation. Your Statutory Rights are not affected by these terms and conditions. Nothing in this Clause shall limit or exclude our liability in respect of any fraudulent or negligent misrepresentation whether or not such has become a term of the Conditions.